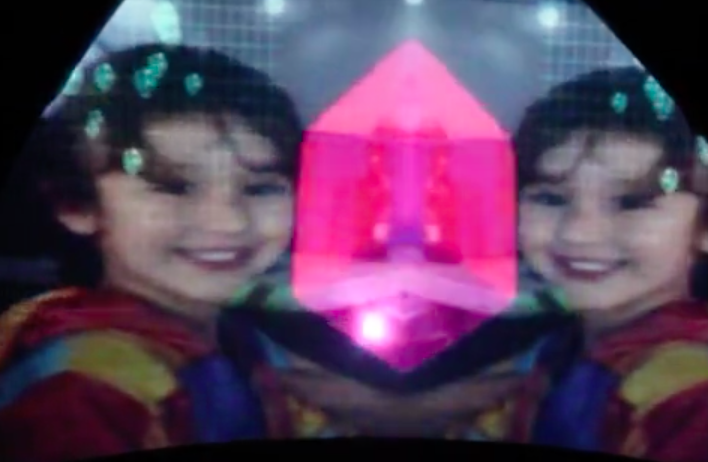 Here is a visual video I made for Insane - Flume ft Moon Holiday LDRU Remix. Watch in HD with some good headphones and you will have a great time. In March I have been given the oppurtunity to do live visuals for Regrowth Festival just out of Braidwood, NSW. Here is the highlight reel from Regrowth 2014 that I edited. It has lots of stuff that I did the VJing for, plus some friends in the Optic Soup collective who I do VJing with. Had a really great time at Regrowth, such a receptive and friendly audience. I wanted to do a bit of a breakdown of some of my favourite shots, what they are, and why they are there. 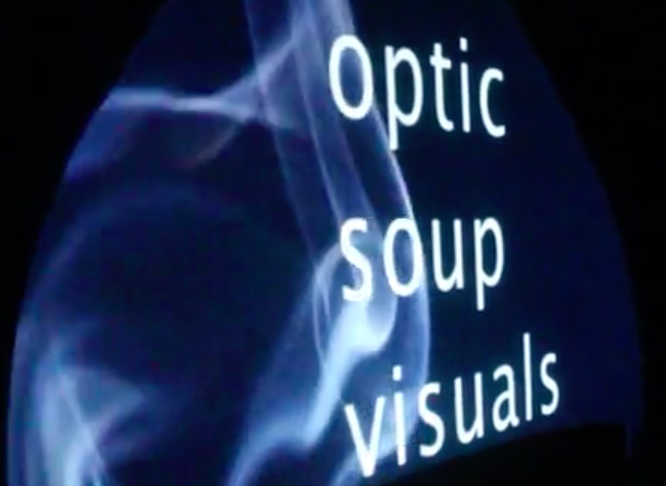 To start with, we have the smoke and "optic soup visuals". This is a really simple screen, and it was used between sets on the wildflower stage. The smoke is easy to look at and really not distracting so the audience isn't stuck being distracted by a screen. It also keeps the colour tone very neutral and provides some ambient light between sets. Optic Soup Visuals is there for branding, and reminding people that someone (me!) is behind the computer controlling the screens. One of my favourite parts of Regrowth was how creatively engaged the crowd was. The screens at the wildflower stage were rear projected onto petal shaped screens, with the projectors and screens all at human height. This meant that you could create shadows by standing in the way. A few times over the weekend people would dance behind the screens creating beautiful movements. When this happened I put on really simple animations/clips so the shadows could be seen easily. 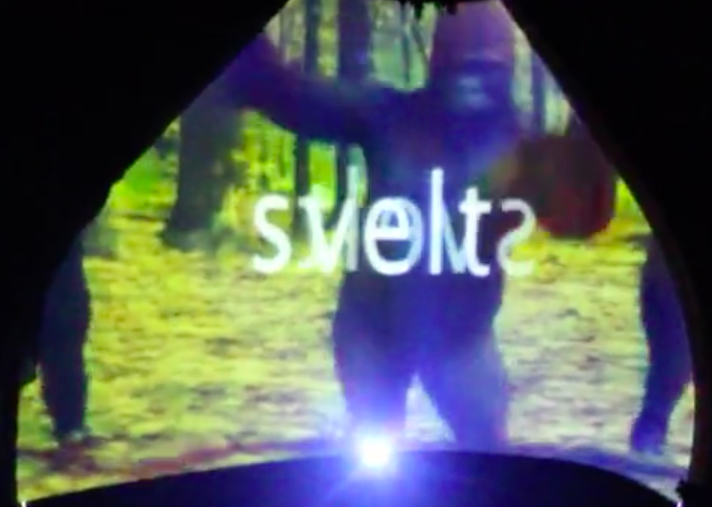 Sydney electro dance band svelt played on sunday night and they were so much fun to VJ too! Really high energy and got the crowd moving. Often with dance music it is pretty fun to play clips of people/cartoons dancing. This clip is some gorillas I found dancing which is pretty excellent. I put the band's name over the top of all the clips during their set, which looked really cool and gave their set a definite visual consistency. There were 2 screens on the wildflower stage, and they were mapped so they were mirrored. This was great for pure visuals, but when displaying text, one screen would be mirrored. No good! To get over this, I made the text layer flip based on the audio levels of the band, meaning that the text would change between normal and mirrored very quickly. Because of the eye's persistence of vision, you are able to read the text on either screen, without being swamped with information. The flicking in time to music also added to the excitement of svelt's music. This is some footage that I made myself. Flowers floating around my bathtub and some milk and coloured dyes with bubbles. The two layers are blended so the colours are opposite. Dog puppet shadowsAs I said above, the crowd at regrowth was really creative! A guy called Nic tore up some cardboard and made these awesome puppets! The main stage (treetop stage) at regrowth consisted of a hexagon screen with petals around the outside which were mapped, and two large white masks on either side of the stage. These masks were also mapped. We had great fun with the giant masks! On Saturday night, Alex (from Optic Soup) and I were using the computer's webcam to put our faces on the masks, a physical mask on the masks, and some balloon stress balls he had made. This was probably the most fun we had all weekend! Huge thanks to Metaeaux for the music, the regen team for organising the festival, my fellow optic soupticians for bringing the visuals and a huge thank you to everyone who attended for being so wonderful! Puncomplimentusbdrive? Best ever! Also, she has the best dog in Redfern, Dodo. Here is me and Dodo inside the planetarium that we made. Hello, So the past couple of weeks I have been working with Keg de Sousa making a PLANETARIUM! As in "What is the coolest thing you can think of?" "Ah, dinosaurs, robots and a planetarium." Well, I am making the third one! Keg has made this 3m tall and 6m across inflatable dome and we have been putting over 300 LEDs into the material and then soldering wires down to the base of the dome. All the LEDs are being controlled by 3 LOL Shields attached to 3 arduino Unos. Everything we are using is open source, so we have decided to keep the open source river flowing. I am going to put all the code up as soon as it is done (by the end of the week) and Keg plans to make a zine outlining how the inflatable dome was made. The next step (and what I have been working on all day is making the constellations light up. How I am doing this: giving the constellations a class. They have 2 arrays for x and y positions of leds, and the number of stars in the constellation. Then I just have a constructor and some functions to fade the lights on and off. Simple! I had a bit of trouble getting the initialisation up and running, but I think I have it sorted out. Code soon! Right I have an array of constellations. A bunch of photos and videos tomorrow. Exciting times! Here is an interesting article on Art, public spaces, apple and the secret service.Moral of the story, don't mess around with apple. Double post day! Aren't you lucky?! 'Why didn't you do any posts the last couple of days?' you ask. Well, on Monday night I went and saw Sufjan Stevens, Brynce Dessner and Nico Muhly perform 'Planetarium' as part of Vivid Sydney. It was beautiful. There was a massive orb over the stage that had patterns projected onto it reflecting the mood of the music. One of my favourite parts (apart from just seeing Sufjan himself) was the 7 trombones that were on stage. Such a thick sound, especially when the bass trombones belted low notes. Monday was also the first day I got to see some light sculptures/ installations of Vivid Sydney. They were all really great! I really loved the projection mapping on the MCA and Customs House. The projection mapping on the Sydney Opera house is kind of interesting, but I'm not really a fan of the woman rolling around the sails. I did really enjoy it though when it looked like the sails were made out of fabric and they were blowing in the wind. This sentiment seemed to be echoed by the people I was with. 1) Gamestudio is some of the worst commercial software ever written and it is an embarrassment that it is what they are teaching us at UOW. Today, my group spent a good amount of time working against the game engine just to make a simple 2D platformer work. Unity is a free engine (I am surprised UOW doesn't already use something they can get for free) that has ample documentation and is used in the industry. Using gamestudio to make a game is like using audacity to make a symphony, or trying to edit avatar using windows movie maker. 2) You should be watching Veep. Really funny show. Ok, that is it for now. See you again tomorrow! Fwhoa this one is a close call! Maybe I should try to blog earlier in the day. Tomorrow! I want to talk about my new favourite TV show, it is called Ugly Americans. Most of the times when you watch a TV show, you should start from the start. I didn't with ugly americans, and I still don't know exactly what is going on, but I do know that it is hilarious. This guy is Doug. He is a koala man who never speaks, but I think he is possibly the funniest character on the show. Anyway, go and watch the show. But how Rory? Is it on TV? I have no idea! Get your TV from EZTV. On demand, ad free. Boss. In other news: VIVID is really soon! Vivid Sydney coming up soon! Get Excited!